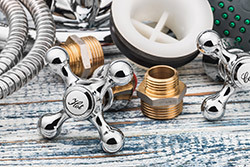 For home and business owners in Brighton, NY and the surrounding communities or Irondequoit, Rochester, Macedon and Fairport who are in need of dependable plumbing services, GT Campbell Plumbing is simply the best choice. From simple problems like dripping faucets and leaky water lines to more complicated projects like clearing backed up sewer lines and installing new gas and water fixtures, we do it all! Repair and replacement of existing water lines, sinks, faucets, showers, toilets and other fixtures. Installation of plumbing systems for new buildings per structural and architectural plans. Repair of gas lines and fixtures, including fireplaces and barbecue pits. Repair of sump pumps, rain-water tanks, water heating systems and outlet points for dishwashers, washing machines and outdoor irrigation systems. Repair of under-sink electrical garbage disposal units. Unclogging and cleaning of drains and sewers. Installation of new or replacement sewer pipes. Testing and regular maintenance of water, sewer and gas lines. When you need a Brighton, NY plumber, choosing GT Campbell Plumbing means choosing a company that you can count on to get the job done right the first time, every time. We have more than a decade of experience, and all of our technicians are highly-trained, licensed and insured. We use the highest quality materials, and we offer prompt, dependable service at affordable rates. Even a simple plumbing problem can quickly turn into a major disaster. Trying to handle plumbing issues on your own often leads to disaster, and you’re likely to spend more than you would if you called a professional from the start. If you are facing any type of plumbing problem in Brighton or the surrounding areas, trust GT Campbell Plumbing.